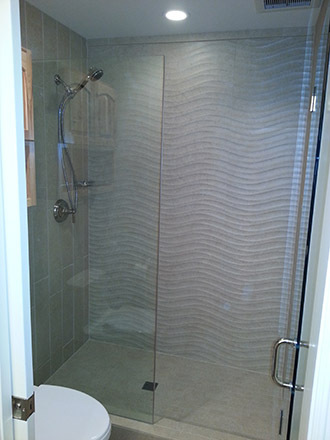 Multi materials installed including sandstone, slate, travertine, and porcelain. 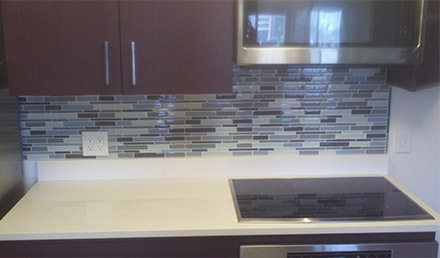 Installed glass backsplash as part of a full kitchen remodel. 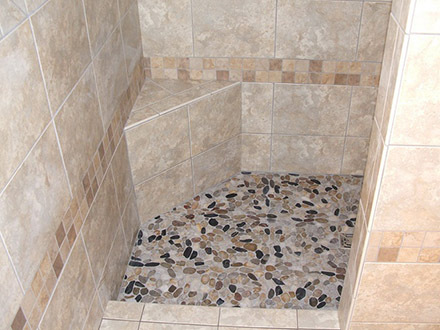 Walk in shower with bench seat. 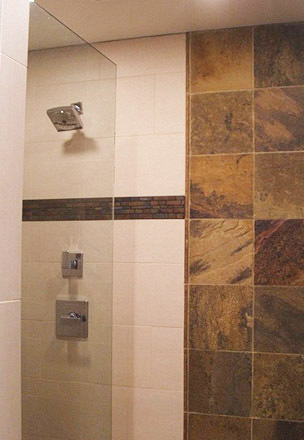 Natural stone on floor with ceramic till on walls. Wave texture tile as part of a full bathroom remodel.